SAN JOSE — The Japanese American Museum of San Jose, 535 N. 5th St. (near Jackson) in Japantown, will present a book talk with author Naomi Hirahara on Saturday, May 4, at 1 p.m.
She will discuss “Strawberry Yellow,” the fifth book in her Edgar-winning detective series featuring a curmudgeon and unwitting detective, Mas Arai. He is a memorable protagonist unlike any other: a Hiroshima survivor, gardener, widower, gambler, grandfather, and solver of crimes. In the latest novel, he returns to the Watsonville strawberry farms of his youth and encounters not only family intrigue but also danger and eventually murder. Hirahara was born in Pasadena. Her father Isamu (“Sam”) was also born in California, but was taken to Hiroshima as an infant. He was only miles away from the epicenter of the atomic bomb blast in 1945, yet managed to survive. Her mother Mayumi (“May”) was born in Hiroshima and lost her father in the blast. Shortly after the end of World War II, Sam returned to the Los Angeles area and eventually established himself in the gardening and landscaping trade. 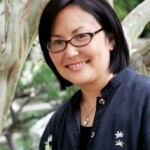 For more details about Hirahara and her books, visit www.naomihirahara.com/. Museum admission is $5 general, $3 for students and seniors, free for JAMsj members and children under 12. To RSVP, email [email protected] or call (408) 294-3138.